The blind cats under these lenses are cute and painful. Casey is a cat photographer living in Los Angeles. He often helps some disabled comets by taking pictures of cats. Casey took photos of many animal rescue centers and rescue stations, including the Milo shelter. A few months ago, Casey discovered that there were more and blinder cats in some animal rescue stations and rescue centers. 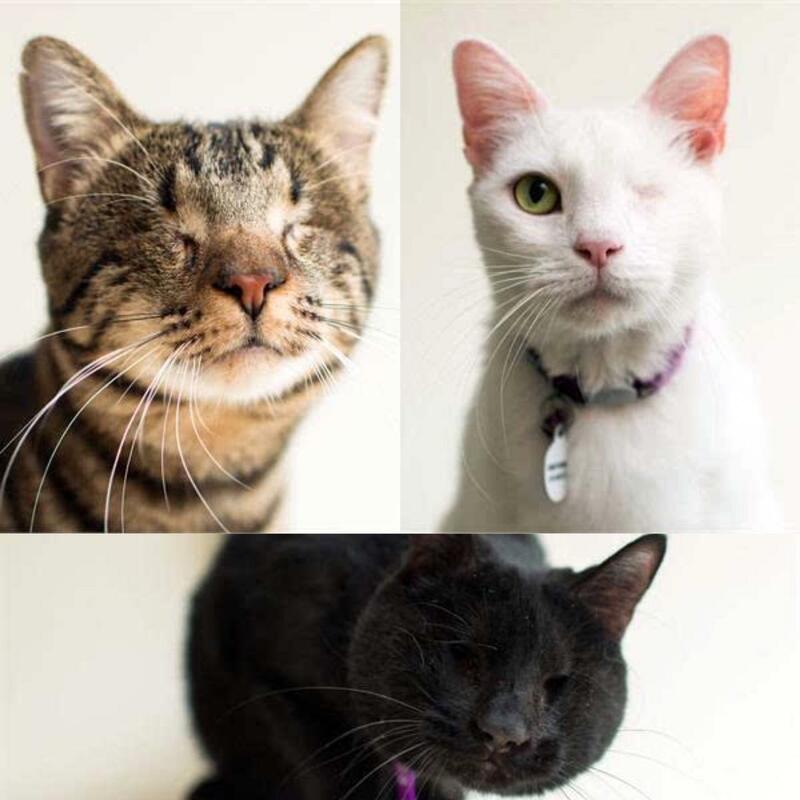 In order to draw attention to disabled cats, Casey decided to take a photo of a group of blind cats. After hearing a blind cat named Regis before hearing the Milo rescue station, Casey took the initiative to contact the founder of the rescue station, who welcomed and supported Casey's proposal. The Milo Cat Special Rescue Center is a non-profit organization that believes that all cats have the opportunity to have a second life, especially those with disabilities, which deserve to be cared for, understood and helped. The disabled cats who came to the Milo Rescue Center received good medical care to ensure they had the best quality of life.